We knew that Mozilla was working on a mobile version of Firefox but not that the first release would not actually be made for mobile phones. Instead, the foundation is about to release an alpha version for Nokia's N810 Internet Tablet with a view to having developers test it to the maximum extent before porting the software to actual phones. The so-called 'Fennec' release will be announced some time next week, with the first full beta likely to arrive in 2009. 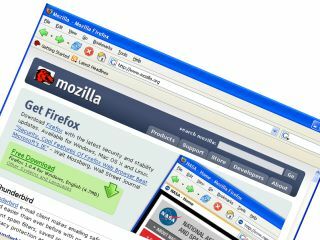 It will support Java and AJAX and will use third-party add-ons in the same way that the desktop version of Firefox does. Mozilla's alpha release will also included the much-anticipated ability to navigate using fingertip gestures on the N810's touchscreen, a feature that's sure to make it to the final release on other mobile platforms.